The Little Mermaid's Ariel sports summery, fun styles everywhere she goes. How can you get her look without literally sewing a fish-scaled tail onto your legs? 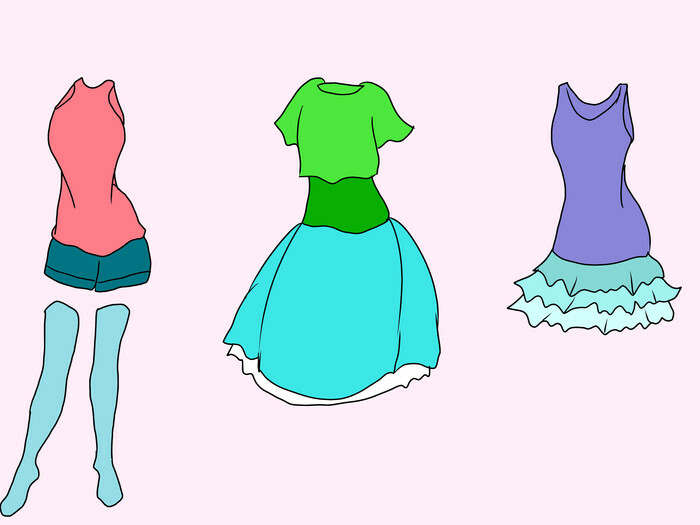 Here are some helpful tips on how to dress like Ariel on almost any occasion. When shopping, opt for cropped, fitted styles. Think cute cropped-tops and shorts. Make sure that your clothes are always tasteful, though. When Ariel was on land, she had a classy style, so incorporate that kind of look in with your more summery pieces. 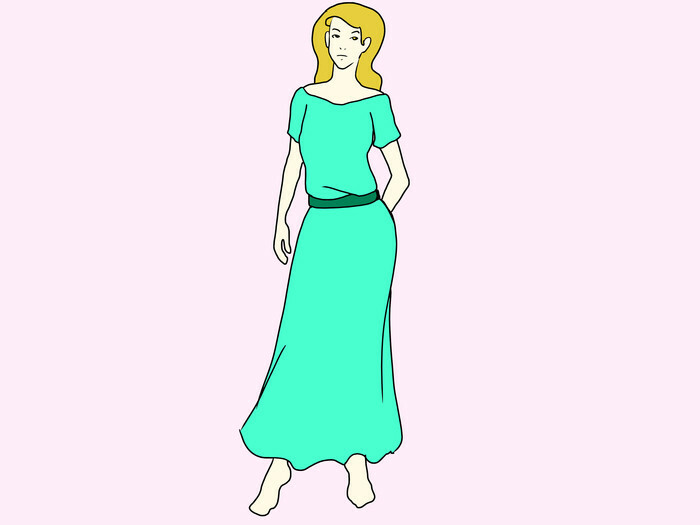 For example, a flowy maxi skirt with a soft top and a belt. Colors should be sea-inspired. Greens, purples, and almost EVERY shade of blue! 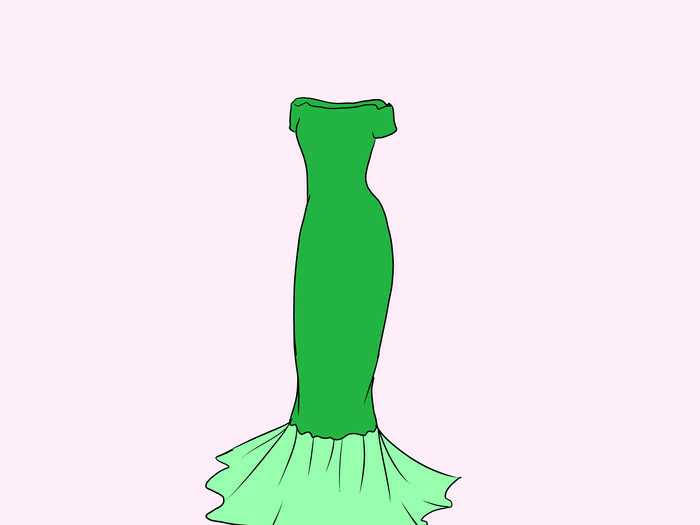 When choosing a formal dress, try out literally the "mermaid style" dress and see how it works for you. If it doesn't work with your shape, Ariel still wears gowns that cinch in at the waist for a flattering figure. Nautical accents are strongly encouraged. Shell jewelry is fantastic. 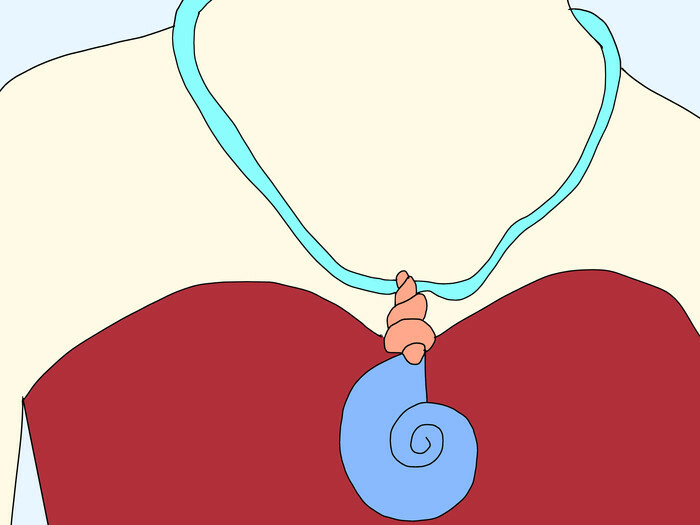 Also, sailor knots on a top or a rope belt can suggest the ocean as well. 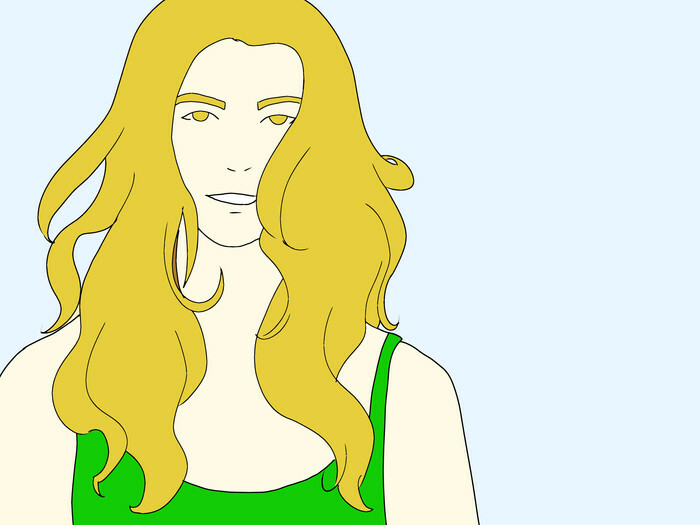 For hair, go for beachy waves. This can be achieved with long, layered hair washed and towel-dried. Apply a wave-enhancing creme and let dry. Hair should be worn full and down, as if you had gotten back from the beach. 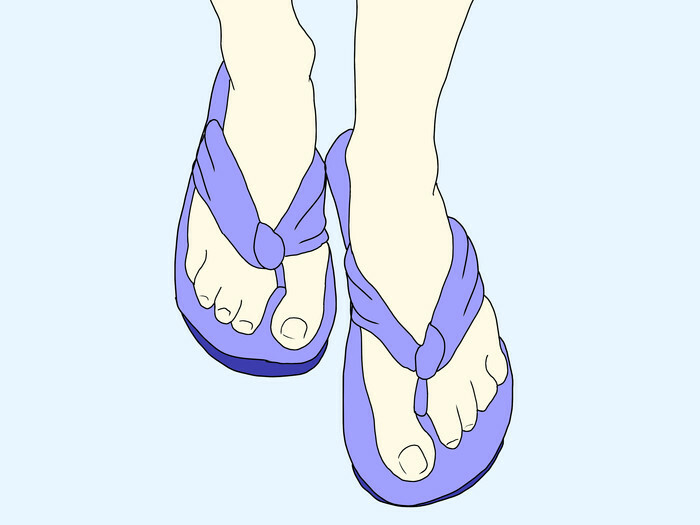 Wear sandals or other open toed shoes. Take good care of your toenails and feet, just as Ariel would- they're too precious to mistreat! 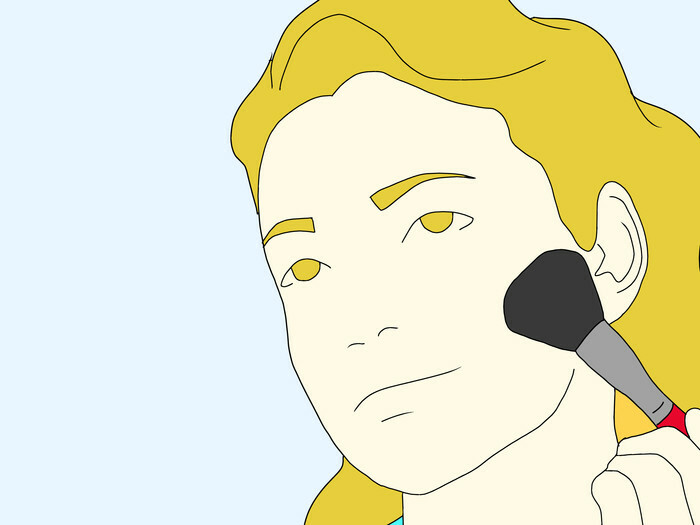 For daytime makeup, go natural. Wear concealer, top eyeliner, mascara, white eyeliner on your waterline and natural red lip color at most. In the nighttime, feel free to experiment with different looks and colors! For that sun-kissed, fresh look, go to the beach every once in the while, if your location allows you. If not, go to a local lake or river, or even a pool- anywhere where water is about. Just remember to wear sunscreen! It goes without saying, but drink lots and lots of water. This will keep your skin looking healthy and fresh. Keep a water bottle with you at all times. Make good first impressions with your look. Try gathering your long hair on one side of your face and give a sweet, glowing smile just like Ariel did when meeting Eric. Try practicing in the mirror. Embrace some of the qualities of Ariel to make your look more believable. Be inquisitive and polite to strangers. Also, use words wisely. Although Ariel couldn't speak at all on land, use your words for good. Never- and I mean NEVER- talk gossip about someone behind their back. At days spent at the beach, collect shells or bits of sea glass and have your own little box at home labeled "Treasure Trove" or "Ariel's Grotto" etc. When you have enough collected, find creative ways to enhance accessories with your collection. i.e. a shell hair-clip or a sea-glass ring. Have fun! If this look isn't working for you, try a different princess to model your fashion after. There's lots to choose from! Make sure to wash all of your beach collection items thoroughly, otherwise over time they will begin to smell. Put them in a 50/50 bleach water solution for a few minutes, and to shine them, put a little baby or mineral oil on them. Take good care of your treasures. There are more detailed tutorials online, so get to know the process very well so you do not damage the shells. This is definitely a strong look, but not a costume. Be very tasteful in how you use your inspiration. Although wearing beachy clothes may be fun for summer, you may want to adjust your look when school comes around, since cold weather is on the way. When you start changing your seasonal clothes, keep in Ariel's blues, greens, and purples subtly and never feel that you have to take away your sea-inspired jewelry. Ariel was always curious about the human world, but she was always still polite and smart. When asking about something, be courteous and display any knowledge you have already.